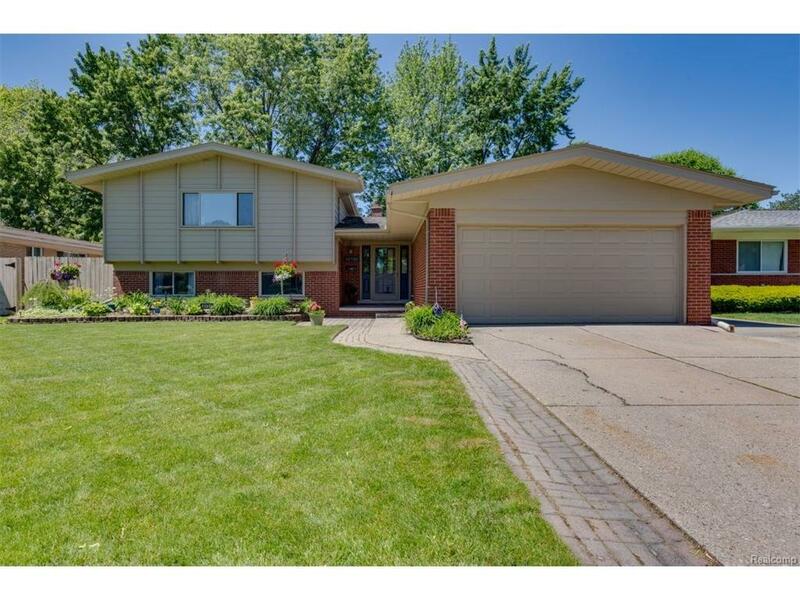 Here's the story of a house in Warren, whose been busy being dressed up to the 9's.Amazing contemporary quad-level home on pride of ownership block. Centrally located near the civic & tech centers, shopping, etc. Enter into a generous foyer, step down LR, Lg formal DR, Bright white kitchen accented in red. Ad. BF room has a butlers pantry, and leads to laundry room & att. 2 car garage. The family room is special. Custom trayed ceiling w/accent lighting, brick fireplace, custom paint, & doorwall to paver patio & extensive surrounding gardens. 5 true bedrooms, Master has beautifully renovated bath & there are 2 other bdrms & full bath on the upper level. 2 bedrooms & a fresh 1/2 bath complete the garden level. The basement is open & clean, such a bonus! Live large, enjoy! Make Home Here.